• Nelson based with local knowledge of the top of the south. fresh ideas and fine tuning. • a brief report including recommendations. Further assistance can be negotiated. as they fall due, or when liabilities exceed assets. Insolvency doesn't necessarily spell the end of the company. with creditors to enable companies to trade out of difficulty. in a robust, formal framework. 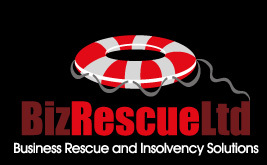 Again, Biz Rescue has experience in this area. out of its difficulties the only option is liquidation. In the past 2 years Geoff has administered 11 liquidations.